Biologists admit they’re still not sure exactly how the warm water Blob is affecting salmon up and down the West Coast. “The thing that we need to think about is that warm water in Alaska is really different than warm water in California,” said Brian Beckman, a research fishery biologist at National Oceanic and Atmospheric Administration’s Northwest Fisheries Science Center in Seattle. “Warm water in California can be so warm that it is actually injuring the fish, whereas warm water in Alaska just means that it is abnormally different and maybe the ecosystem is different. But it’s still a comfortable place for fish to be,” Beckman said. Beckman was one of the organizers of March’s Salmon Ocean Ecology Meeting in Juneau, which featured biologists and researchers from California to Alaska. 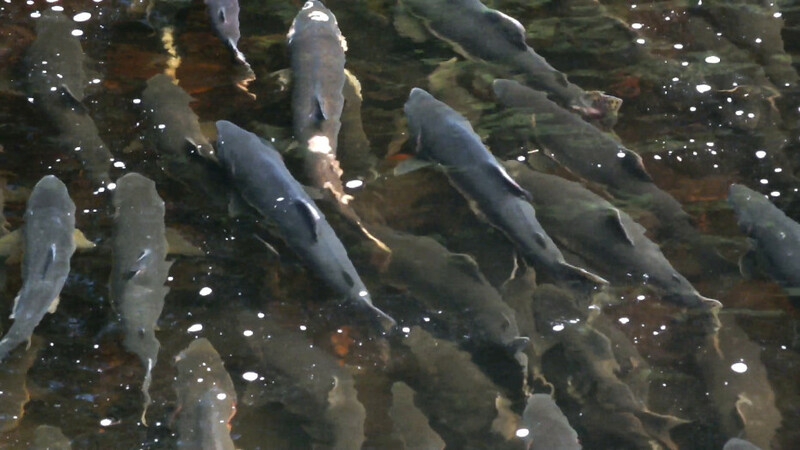 Because of differences in the life cycles and migration patterns of the five Pacific Ocean salmon species, Beckman said it’s impossible to immediately determine how The Blob is affecting salmon abundance, run timing, growth, forage habits and complicated predator-prey relationships. Why would any of that information be important? The $414 million answer to that question comes from the Alaska Department of Fish and Game. That’s the dock price paid for all salmon harvested last year. In addition, the McDowell Group of Juneau says Alaska’s salmon fisheries generate $845 million in income for 18,400 direct jobs. Joe Orsi, fisheries research biologist at NOAA’s Ted Stevens Marine Research Institute at Auke Bay, explained why they research salmon biology, and do modeling or run simulations to predict Alaska salmon abundance, run timing and even size of the fish. They include decisions by state fisheries managers who plan the timing and length of the openings, the processors which dispatch tenders and hire outside help to work in the plants and the fisherman who must budget his or her expenses and figure out how many deckhands to hire. Orsi said they’re not sure if it was The Blob’s presence in the northeast Pacific that upended their modeling for last year’s salmon runs. Overall, last year’s pink harvest in Southeast Alaska fell well short of predictions with runs in the southern part of the Panhandle doing poorly. Another big question is whether El Niño or equatorial warming has encouraged other species to wander north. In order to get a better handle on what is happening, researchers have created a coast wide database that is intended to show how The Blob is affecting various salmon runs. Bryan Burke, research fishery biologist at the Northwest Fisheries Science Center in Seattle, helped design it. Some of those fish that have not returned yet are mature Copper River reds. 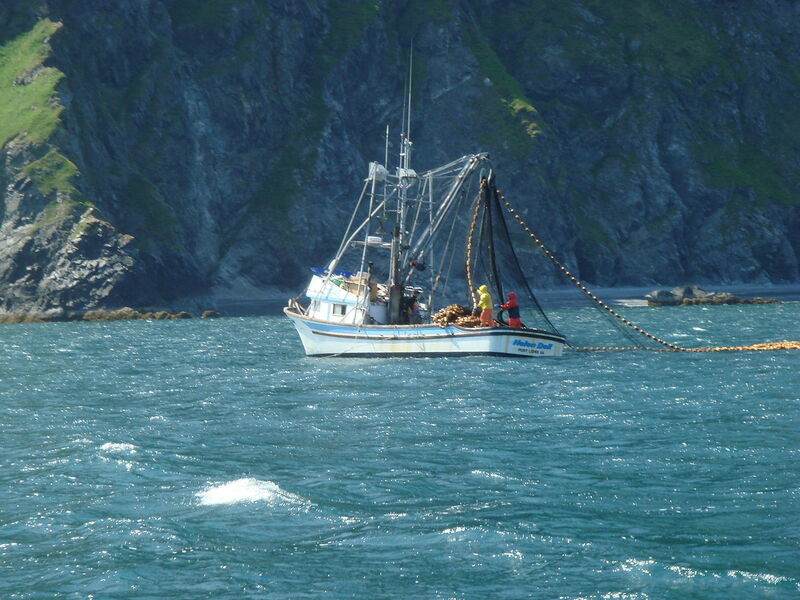 Those fish are usually harvested during the very first commercial fishery of the year. It could kick off as soon as mid-May.